A new month means new Style Arc sewing pattern product releases. 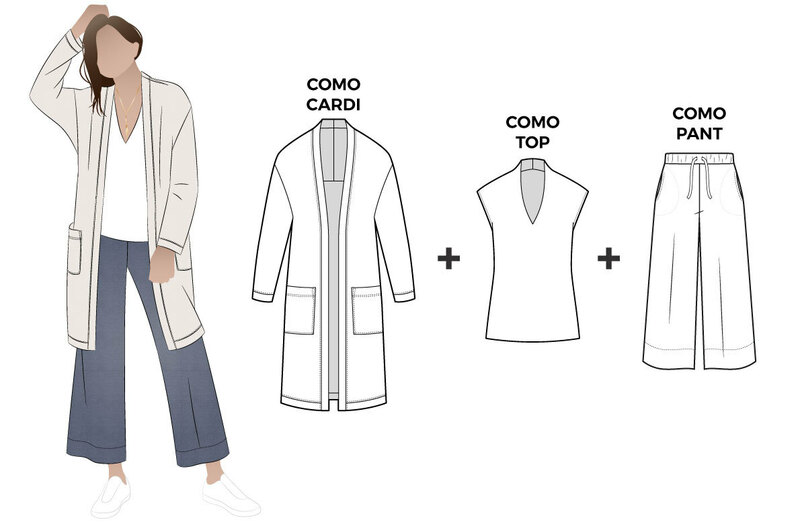 This month we are excited to launch the Como Outfit (paper, PDF, Etsy) available now as a discounted bundle of three sewing patterns: Como Knit Top (paper, PDF, Etsy), Como Knit Cardi (paper, PDF, Etsy) and Como Knit Pant (paper, PDF, Etsy). Buy them separately or buy them together to create a fabulous look. Read on to learn more about our new Como styles. 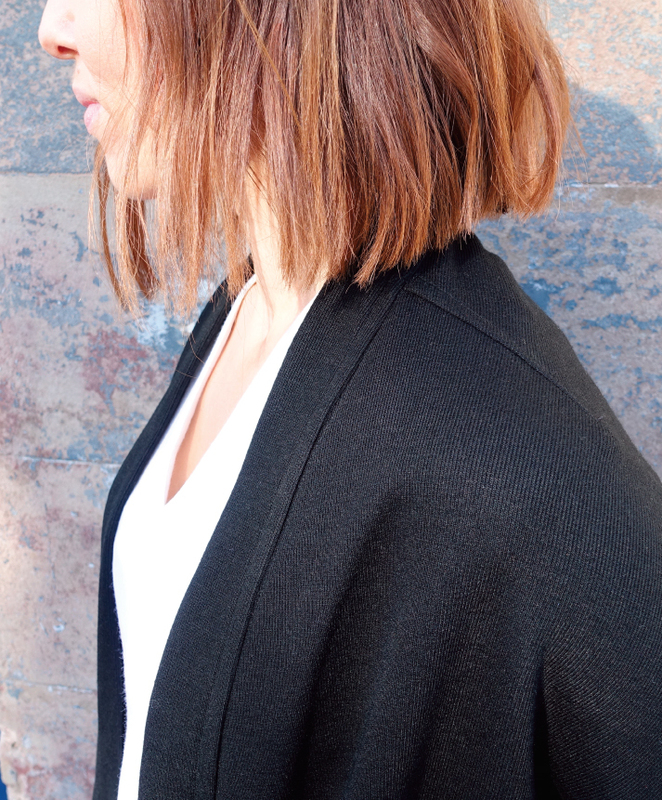 The long-line Como Knit Cardi has a cleverly designed all-in-one dropped shoulder line and a front band that hugs the neckline. This gorgeous cardigan is finished off with two lovely large patch pockets. The versatile Como Knit Top has a flattering “V” neckline which hugs the neck. The pattern was designed to have some shape over the body, but not too much, and the shoulder line is extended to cover the shoulders. The fabulous, on-trend Como Knit Pant features the new wide leg; not too wide, just perfect! The flat elastic waist and in-seam pockets look great and make the pant so comfortable to wear. Make them with a full-length leg or crop them to your preferred length. Don’t forget that you get a choice of two free patterns when you shop at www.stylearc.com. This month you have the choice between the gorgeous new Perry Woven Top (Paper, PDF) or the Elita Designer Top (paper, PDF). Perry is a fashionable sleeveless swing top featuring an asymmetrical hemline which drapes beautifully down the left side (it can be tied for a different look, too!). Elita is a cleverly designed top with a unique double twisted collar – it’s a designer piece that will turn heads!